The small Ukrainian-American community in Milwaukee began with immigrants in the early twentieth century and received additional migrants in after World War II and the fall of the Soviet Union. For over a century, religious institutions, affiliated either with the Ukrainian Orthodox Church or the Ukrainian Catholic Church, have provided a place to sustain and maintain Ukrainian social and religious ties. Ukrainians first arrived in Milwaukee early in the twentieth century, settling in the Walker’s Point neighborhood. Immigration of Ukrainians to the United States in general increased for a short period in the post-World War II years, as many Eastern European ethnic groups fled their homes after the trauma of the war. The 1948 Displaced Persons Act, along with later amendments that increased the number of Eastern Europeans who qualified for immigration to the United States, allowed Ukrainians to enter the country at increased rates. Census data indicates that some 3,000 people in the metropolitan area identify as being of Ukrainian ancestry as of 2009-2013. 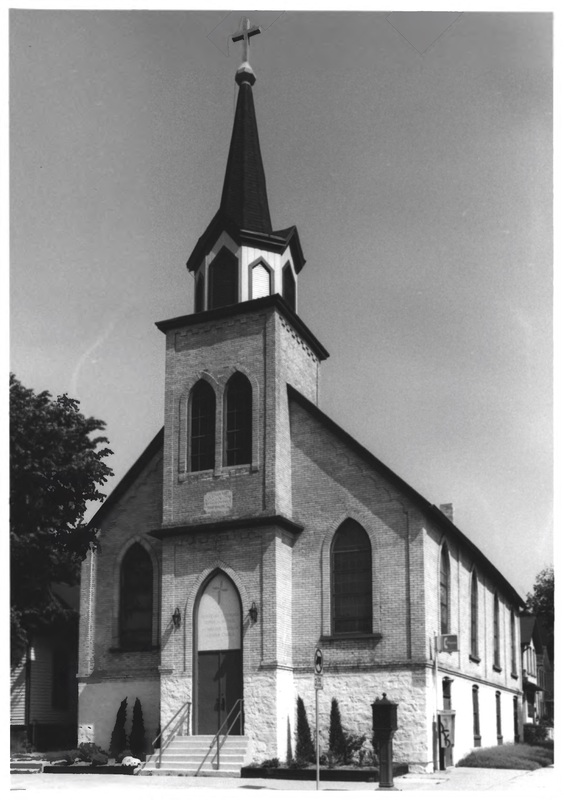 In 1917, the number of Ukrainian-Americans grew to the extent that a group of Ukrainian Orthodox Church members purchased an old Norwegian Lutheran building on the South Side. This site, now known as St. Mary’s Ukrainian Orthodox Church, long formed a central hub for the city’s ethnic population. For example, in the early years of the parish, Orthodox as well as non-Orthodox Ukrainians gathered for services, but also for opportunities to socialize with other Ukrainians, despite religious and cultural differences among the group. 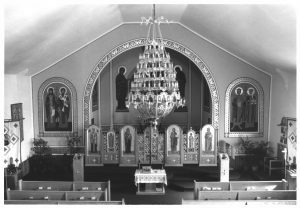 By 1953, Ukrainian Catholics in Milwaukee purchased a church building in the Clarke Square neighborhood, which is now known as St. Michael’s Ukrainian Catholic Church. Both of these churches provide opportunities for the Milwaukee metropolitan area’s Ukrainian-American population to meet, worship, and socialize, while retaining Ukrainian customs. ^ Alice Ann Conner, “Ukrainians End Easter with a Kiss,” The Milwaukee Journal, April 6, 1977. ^ Myron B. Kuropas, The Ukrainian Americans: Roots and Aspirations, 1884-1954 (Toronto, Canada: University of Toronto Press, 1991), 397-406. ^ U.S. Bureau of the Census, Ancestry, First Response—Ukrainian, 1980-2010, tabulated at http://www.ipums.org; U.S. Census Bureau, American Factfinder, Total Ancestry Reported, 2009-2013, American Community Survey Five Year Estimates (B04003). ^ Alice Ann Conner, “Just Look at this Place on Sunday,” The Milwaukee Journal, July 20, 1977; St. Michael’s Ukrainian Catholic Church website, last accessed March 9, 2012.